I’m delighted that the Irish Times asked renowned and respected Wilde scholar Dr. Eibhear Walshe to review Wilde’s Women. I’m also very happy with his balanced and insightful evaluation. He describes my book as ‘a lively new study’. There’s a link to the review here. It’s incredible to think that July 28, 2014, will mark the centenary of the commencement of World War One. Although no longer part of the living memory of anyone save a tiny handful of people, who were children at the time, the wastefulness and horror of the trench warfare that characterised that vicious four year campaign will live long in our collective memory. By Armistice Day, November 11, 1918, more than nine million combatants had been killed, with a further twenty million or so badly wounded. The conflict changed the direction of world history, and led to significant political upheaval, prompting revolutionary uprisings in many of the nations that took part. Understandably, it had a profound and lasting effect on the young men directly involved in combat. The physical and psychological destruction wrought by the Great War has been commemorated by many authors, including Pat Barker, with her brilliant Regeneration Trilogy; Sebastian Faulks with his poignant novel, Birdsong; and Michael Morpurgo with his hugely successful children’s novel, War Horse. 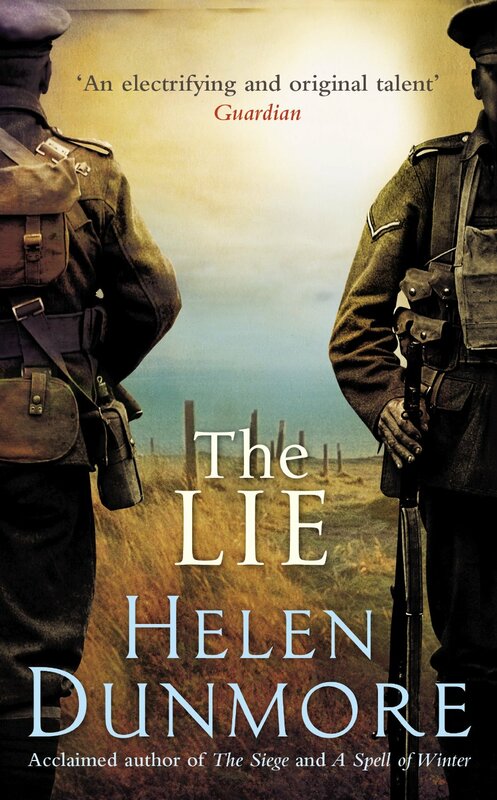 Now, Helen Dunmore has added to the canon of WWI literature by writing movingly about the worst aspects of trench warfare and its aftermath in her new novel, The Lie. Dunmore has tackled this period before: Zennor in Darkness, her finely researched, McKitterick Prize winning novel, published in 1993, describes the events surrounding a time when the writer D. H. Lawrence and his German-born wife Frieda lived in Zennor in Cornwall during the war, and came under suspicion as German spies. A hugely respected and highly entertaining writer, her acclaimed catalogue of finely crafted prose and poetry has been praised universally and rewarded many times; her third novel, A Spell of Winter, won the inaugural Orange Prize for Fiction in 1996, and in 2010 her poem The Malarkey won the National Poetry Competition. In The Lie, an enthralling and ultimately heart-wrenching novel, Dunmore again uses Cornwall as her backdrop and tells us the story of Daniel, a young local man who has survived the horrors of the trenches in body if not in spirit. Life has been one constant struggle for Danny, an exceptionally bright boy who was deprived of the chance of a decent future by relentless poverty. Returning from the front, he wrestles with his demons and works hard to grasp the first chance of independence and fulfillment he has ever known, but fate is conspiring against him and his future happiness hinges on the concealment of a lie told blithely in a moment of madness. Recently I met with author Alison Jameson to chat about writing and about ‘Little Beauty’, her wonderful third novel. Our interview can be found here. Last month I met with Irish author Alison Jameson in the lovely, bustling surroundings of Cinnamon cafe in Ranelagh, Dublin 6. We were there to discuss her third novel, Little Beauty, and her very successful writing life. Recently returned from Portland, Oregon, where she spent a year with her husband and young son, Alison is incredibly busy responding to the warm and well deserved reception that her new book has provoked. Little Beauty is set, for the most part, in 1970s rural Ireland and tells the story of Laura, the unconventional island-dwelling central character who, after a horrendous start in life, is left to deal with the consequences of going her own way in defiance of the stifling, judgemental community amongst which she lives. As we settle down with a couple of coffees I admit that I’m absolutely intrigued by Laura, a fantastic character and a free spirit who suffers the consequences of being different. As the story progresses, Laura is orphaned early, betrayed by her neighbours and besotted with her child, the delightful product of an unsanctioned liaison of the type not tolerated in the Ireland of that time. I ask Alison if she deliberately set her novel in 1970s Ireland, a time when women were still judged harshly yet were on the cusp of making great progress. Surely a ‘Laura’ would fare better today? She agrees that this is largely the case, but expresses reservations that we may not have come as far as we think; she is convinced that even in these more tolerant times a woman who behaved as Laura did would, at very least, be considered slightly eccentric and perhaps be treated with suspicion. Although Alison tells me that she was comfortable writing about the 1970s because, ‘I really like that era, and it’s a very interesting time in Ireland’, she admits that this is in some ways a fortuitous coincidence as she, ‘wanted to end the novel in a contemporary sense’, therefore for technical reasons, the bulk of her story needed to be set then. This thought process gives me some insight into how carefully Alison structures a story and the meticulous planning that goes into crafting each novel. She elaborates: ‘I slightly wrote the book back to front. People generally think of books as being made up of chapter one, two, three and so on but I tend to think and write in a circle, and then fit all the elements into that circle. With this book I wrote the last part first and that’s the part I really wanted to write about’. When I tell her that it works brilliantly, she smiles modestly in response. Some of the themes in Little Beauty, like motherhood and death, are huge, emotional topics and Alison confirms that, in keeping with many accomplished authors, she taps into her own personal experiences in order to get the tone right. Life threw plenty of material her way. While she was writing Little Beauty Alison became a mother and lost her father. So profoundly did the experience of having a child affect her thinking that she abandoned the book as it was and began to rewrite it from scratch; not something to be undertaken lightly. I wonder if that level of authenticity is important to her. ‘Definitely’, she says emphatically, adding, ‘as a writer it’s important to write about things you have insight into’. As motherhood is a central theme in her story, she believed that it was particularly important to get this right and readily acknowledges that having a baby, ‘just brought out this whole other rainbow of emotions’. 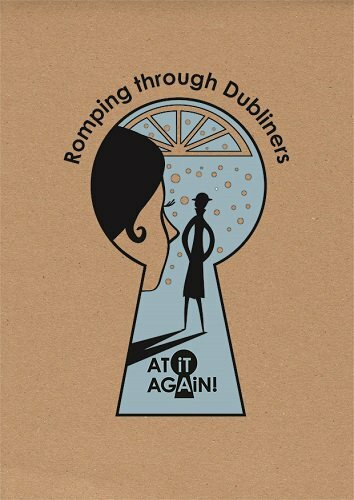 Fortunately Alison’s agent, Faith O’Grady was completely supportive and agreed that what mattered was that this book simply had to be the best book she could write at that time and no less than that; if that involved a rewrite then so be it. Alison is very appreciative of this support as it allowed her to change her book dramatically and turn it into something extraordinary. It was a brave move but one that she regards as unavoidable as well as ultimately very rewarding. Along with motherhood and death, superstition is a strong theme running throughout the novel. The book’s island setting, a place where people are confined by the elements and have a great respect for the sea, facilitates this and Alison succeeds in exploiting the theme very effectively. The claustrophobia of Irish society and the suspicion directed towards deviant people, particularly women, is perfectly encapsulated. We discuss this and both agree that the pressure to conform and to join in with the condemnation of any individual who refuses to fit in is strong. This really is an essential element in her plot and once again her life experience fed into this aspect of the story. Growing up in rural Ireland during the 1970s, Alison believes that, although she was very young, she was, ‘obviously absorbing things I saw’. This understanding, she feels, explains why she found it relatively easy to imagine the life of an unmarried mother living on an isolated island; the complex character of Laura came to her first. The intricate relationships Laura forms with her neighbours took a lot of work to construct and I tell Alison that she captures the multifaceted interdependence of an island community brilliantly. It certainly helps that she, ‘finds great richness’ in communities such as those she discovered when she visited the West coast of Ireland at a time when she was immersed in the writing process. Little Beauty’s ‘Inis Miol Mor’ is fictitious but familiar at the same time. ‘Settings are so important for me as a writer’, she says, ‘where you locate your book really matters, the weather, the scenery, the atmosphere, the type of people and what they do are all really, really important’. She places great emphasis on the unique ‘Irishness’ of her books and believes that our national psyche is a rich and rewarding thing for Irish writers to tap into. Little Beauty is a nuanced book and readers are allowed to decide on the appropriateness of the dramatic and often potentially damaging acts perpetrated by its characters. Alison is very clear on her decision not to set it all out in black and white, ‘I try not to tie up every little loose end’, she says, ‘real life is about questions and you don’t have the answer to everything’. There’s great wisdom and skill involved in not seizing control and spelling everything out and I tell her that I admire her ability to allow the uncertainties to remain. At times the story that Alison tells is deeply troubling and desperately sad, yet it is punctuated with flashes of truly uplifting humour. ‘I’m very pleased to hear that’, she laughs, adding, ‘I believe in life that even when things are really diabolical there is invariably something that somebody will say that is actually, genuinely funny’. Her characters are so authentic that, as I sit back to listen to her discuss them and explain their motivation so lucidly and with great passion, I find it almost impossible to remember that they are her creations rather than real, living, breathing people. My neglected coffee turns cold. This is a master class in characterisation. I tell Alison that she writes brilliantly about old age and the vulnerability that it can bring. ‘Thank you’ she says before explaining that she believes we as a society engage in a lot of denial about the realities of aging. In fact one of the reasons she juxtaposes descriptions of young, vibrant characters with their older selves is to remind us that life is a continuum and that, as her late father once remarked, every old person, ‘was the apple of someone’s eye once’ – in their own mind they often are still. I had heard Alison admit to an earlier interviewer that she would feel, ‘almost ashamed’ if she hadn’t pursued her drive to write. I find that very interesting and ask her to explain how she became a successful writer in such a difficult industry where talent alone, no matter how great, is no guarantee of success. ‘It’s getting harder by the day’, she laughs, adding, ‘the difference between when my first book (This Man and Me) was published in 2005 and now is vast. The whole industry has changed so much. Everything is taking so much longer people are so much more reluctant. It used to be an editor going, “Oh, I love that, great”. Now it’s, “I’ll have to check with 25 other people”. ‘Editors used to be much more willing to follow their gut, to fall in love with something’, she says wearily, adding, ‘everybody worries about their jobs now and there’s a much higher fear factor’. Yet she is adamant that she wouldn’t criticise anyone in the publishing industry and that it’s ‘a very brave decision to take on a novel’. Alison Jameson wasn’t always a full-time writer. When she started writing in earnest, she was a director at advertising agency BBDO and struggled to fit her writing around this demanding role, but she always believed that it was where her true passion lay. Initially it was her short stories that attracted the attention of her highly respected agent, Faith O’Grady. After that there was really no stopping her. She admits that early, positive feedback was hugely important and became a key factor in deciding to write full-time, a decision she has never regretted as she plans to write for the foreseeable future. I assure her that I, for one am delighted to hear this. I’ve thoroughly enjoyed our chat and I’ve gained some wonderful insights into the writing process. Alison’s third novel, Little Beauty is a thought-provoking and thoroughly enjoyable read, and, all going well, we can look forward to reading many more gems from the pen of Alison Jameson. In fact she confirms that she has, ‘the idea, the setting and a fair bit of the work’ done for the next one already. Alison’s humility does her credit and she finishes by telling me that what excites her most is to see her style developing and changing as she learns her craft. WITH REMARKABLE prescience and a firm grasp of the zeitgeist, Margaret Atwood, Lady Oracle herself, has produced this timely and engaging treatise on the nature of debt – a concept she believes to be integral to the human condition. This is not the first time that Canada’s first lady of literature has reflected current preoccupations in her work. Her post-modern novel Oryx and Crake, depicting in the bleakest terms a devastating global pandemic, was published in 2003 just as her home city of Toronto was in the throes of the Sars epidemic. Now to coincide with the current economic turmoil resulting from the anchoring of our financial system on the shifting sands of unsustainable debt, she has written Payback: Debt and the Shadow Side of Wealth, a companion piece to the Massey Lecture series that the author delivered during a recent lecture tour of Canada. Each of the five chapters in the book formed a lecture and the series will be broadcast on radio in Canada starting on November 10th. Atwood maintains that her motivation for this tangential undertaking is common curiosity. She has, she claims, long been fascinated by the concept of an underlying balancing principle governing society and giving rise to the concept of indebtedness. Debt, she argues, “mirrors and magnifies both voracious human desire and ferocious human fear”. So integral is it to the workings of society that it predates humanity and forms the model underlying the functioning of all groupings of social animals, including several species of primate. Shedding light on the world’s current predicament, Atwood makes the compelling argument that our hunter/gatherer antecedents preclude us from fully realising the consequences of paying back in the future the money we borrow to satisfy our immediate desires. We are programmed for instant gratification and unable to resist credit if it is offered. This is compounded by our unrealistic optimism about our ability to repay loans. We simply cannot be relied upon to self-regulate our level of personal indebtedness in the absence of external guidelines and regulations. Though filled with such gems of common sense, this is definitely not a book to reach for if you’re struggling to balance your personal finances. Instead this quirky little volume, weighing in at just over 200 pages, is an abstract and erudite exploration of the relationship between creditor and debtor. In asking the fundamental and quaintly old-fashioned question “is debt sinful?”, the author notes a shift in our attitudes from sinful (as believed by the hard-working, self-sufficient generation of our parents) to harmless (as espoused by the recent credit card generation) back to sinful again (according to this new credit crunch generation). Is the sin of indebtedness equally grave for both the borrower and the lender as Dr Johnson maintained? Is it possible that some seek the thrill of indebtedness in the same way a laboratory rat, when deprived of all stimuli, will choose to electrocute itself rather than withstand boredom? Payback flows along in an accessible, conversational style that belies the considerable research and learning underpinning it. Seamlessly blending classic with contemporary culture and drawing on Atwood’s own sensible Canadian childhood, it meanders through mythology, ancient history, literature, theology and anthropology with concepts lifted from Star Trek and vivid evocations of ancient Egyptian burial rites sharing the same page. In one paragraph, Machiavelli warns of the dangers of a leader plunging his country into debt as it results in a loss of power and influence. In another, we learn that forbidding Christians from charging interest on loans gave rise to the kind of anti-Semitism best illustrated in Shakespeare’s Merchant of Venice. Dickens’s Scrooge and Marlowe’s Doctor Faustus are described as shadow debtors, one spending with abandon having pledged his soul to the devil and the other grasping money but incurring a debt to humanity for his harsh treatment of others. Atwood’s finale, a reworking of A Christmas Carol, sees a modern manifestation of Scrooge inhabiting a chilling environmental parable. Ultimately, the author offers us a glimpse of redemption but urges us to act now or lose it forever. This slight volume, an extended essay really, grapples with some huge concepts and would make an affordable stocking-filler in these austere times. First published in the Irish Times of Tuesday November 6, 2008. 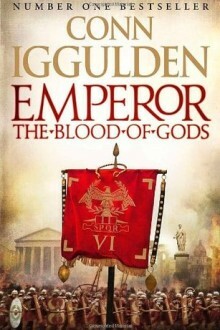 Ten years after the publication of the first book in his Emperor series, Emperor: The Gates of Rome (2003) and eight years after the fourth instalment appeared, bestselling author Conn Iggulden has completed the cycle with a much anticipated fifth book called Emperor: The Blood of Gods. This new episode opens with a vivid description of the bloody assassination of Emperor Julius Caesar, Iggulden’s main protagonist in earlier instalments and a man he has brought vividly to life. It is to the author’s great credit that this book does not suffer from the early loss of such a dominant figure. What follows is a compelling tale of bloody retribution, shrewd political manoeuvring and epic combat. Hailed as heroes, Caesar’s twenty-three assassins, led by the traitorous general Marcus Brutus set about mapping out the future of an empire under their control. Few dare oppose them but those who do prove to be powerful enemies. The most prominent of these men is Caesar’s adopted son and chosen heir, seventeen-year-old Gaius Octavian, the man who will one day become Augustus Caesar. The young man forms an alliance of convenience with his old rival, master orator Marc Antony, once a staunch ally of the murdered emperor. Together they turn public opinion in their favour and raise an avenging army to march into battle in Caesar’s memory in a bid to restore Rome to its former glory. But victory is by no means certain, and they meet fierce resistance from Brutus and his followers. Iggulden is a prolific writer and attributes his storytelling gene in large part to his Irish mother and seanchaí great-grandfather. 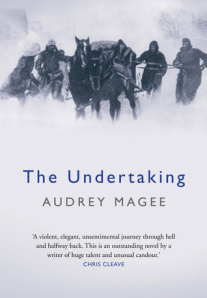 In the gaps between his Emperor books he completed a five book series on Genghis Khan and his grandson, Kublai Khan; he travelled extensively throughout Mongolia in order to immerse himself in their alien world. He has also written a number of children’s book and collaborated with his brother Hal in the compilation of the hugely popular The Dangerous Book for Boys. Earlier this year Iggulden announced a move to Penguin and a new series of historical novels based on the War of the Roses; the first of these, Stormbird will be published in October 2013. While we can all look forward to this new series and probably many more, fans of Iggulden’s forays into earlier history will be delighted to discover that his pleasure in returning to ancient Rome is palpable on every page of Emperor: The Blood of Gods. 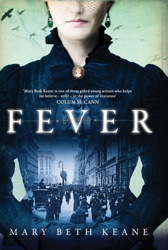 My review of Fever by Mary Beth Keane is available on writing.ie. ‘The name Mary Mallon once struck fear into the hearts of the residents of New York and, although a century and more has elapsed since her notoriety was at its height, the Tyrone-born immigrant is still well known to us today as ‘Typhoid Mary’. Yet while we may be aware that, as the first identified asymptomatic carrier of typhoid, Mary was held responsible for a number of deaths and incarcerated as a result, few of us know anything of her internal life and her response to being labelled an unwitting harbinger of disease and death. In Fever, her second novel and the follow-up to The Walking People (2009), Mary Beth Keane eloquently blends fiction and fact to fill in the largely undocumented intimate details of Mary’s life and her emotional response to such tragedy. Perfectly capturing the harsh realities of life as an immigrant in early 1900s America, Keane paints a sympathetic picture of Mary, an accomplished cook whose popularity amongst the monied families of New York led to unexplained sickness and sometimes death whenever she entered their kitchens. In 1907, after one of these families hired medical investigator George Soper to identify the source of this pestilence, he confronted Mary and had her quarantined against her will on North Brother Island in the East River. There she remained for three years fighting her case and proclaiming her innocence until finally she was allowed to return home on the understanding that she would never work as a cook again. Yet Mary found it impossible to accept that a woman as healthy as she could be the cause of such devastating illness and, determined to make a decent living, felt she had little alternative but to conceal her identity and exploit her talents. While it’s often difficult to sympathise with Mary, Keane tells her story compassionately and lets her humanity shine through. Mary’s relationship with fellow immigrant Alfred Briehof, a troubled and often feckless man, yet someone she loved dearly nonetheless, is particularly poignant. Keane’s book is a compelling retelling of one of the best known medical mysteries of our time and her version allows us to understand that although the real victims were undoubtedly the people Mary infected, it was a horrific experience for a powerless woman to be demonised and labelled a danger to society through no fault of her own.